19 Years Of The Philosopher’s Stone: Celebrating World’s Most Enticing Tale Of Magic! To most of us millennials, it was one of their first reads - a book which made all fall in love with reading, fiction, magic and more. Today, the 26th of June, marks 19 years of existence of a parallel universe we would love to visit someday, a world of wielding wands and flying broomsticks, a world of patronuses and charms, a world of wizardry and witchcraft, the world of Harry Potter! In 1997, Bloomsbury published The Philosopher's Stone with an initial print-run of 500 copies in hardback in the United Kingdom. The proof copies were sent carefully to just some chosen authors, critics and booksellers in order to obtain comments that could be quoted when the book was launched. The first three hundred were distributed to libraries alone. "One weekend after flat hunting, I took the train back to London on my own and the idea for Harry Potter fell into my head... A scrawny, little, black-haired, bespectacled boy became more and more of a wizard to me... I began to write Philosopher's Stone that very evening. Although, the first couple of pages look nothing like the finished product." Then Rowling's mother died and, to cope with her pain, Rowling transferred her own anguish to the orphan Harry. Rowling spent six years working on Harry Potter and the Philosopher's Stone, and approached publishers and agents all the same most of whom thought it was too long at about 90,000 words, before finally being accepted by Bloomsbury. Barry Cunningham, who was building a portfolio of distinctive fantasies by new authors for Bloomsbury Children's Books then, had recommended accepting the book. He was less concerned about the book's length than about its author's name, since the title sounded like a boys' book to him, and he believed boys preferred books by male authors. It is believed that the eight-year-old daughter of Bloomsbury's chief executive opinion that it was "so much better than anything else” was the main catalyst. Lindsey Fraser, who had supplied one of the blurb comments, wrote what is thought to be the first published review, in Scotsman on 28 June 1997. She described Harry Potter and the Philosopher's Stone as "a hugely entertaining thriller" and Rowling as "a first-rate writer for children". The Herald said "I have yet to find a child who can put it down." In September 1997 Books for Keeps, a magazine that specialised in children's books, gave the novel four stars out of five. The Scotsman said it had "all the makings of a classic". In 1997 the UK edition won a National Book Award and a gold medal in the 9 to 11 year-olds category of the Nestlé Smarties Book Prize. In 2003, the novel was listed at number 22 on the BBC's survey The Big Read. Harry Potter and the Philosopher's Stone won two publishing industry awards given for sales rather than literary merit, the British Book Awards Children's Book of the Year and the Booksellers' Association / Bookseller Author of the Year. By March 1999 UK editions had sold just over 300,000 copies and the story was still the UK's best-selling title in December 2001. A Braille edition was published in May 1998 by the Scottish Braille Press. Platform 9¾, from which the Hogwarts Express left London, was commemorated in the real-life King's Cross railway station with a sign and a trolley apparently passing through the wall. 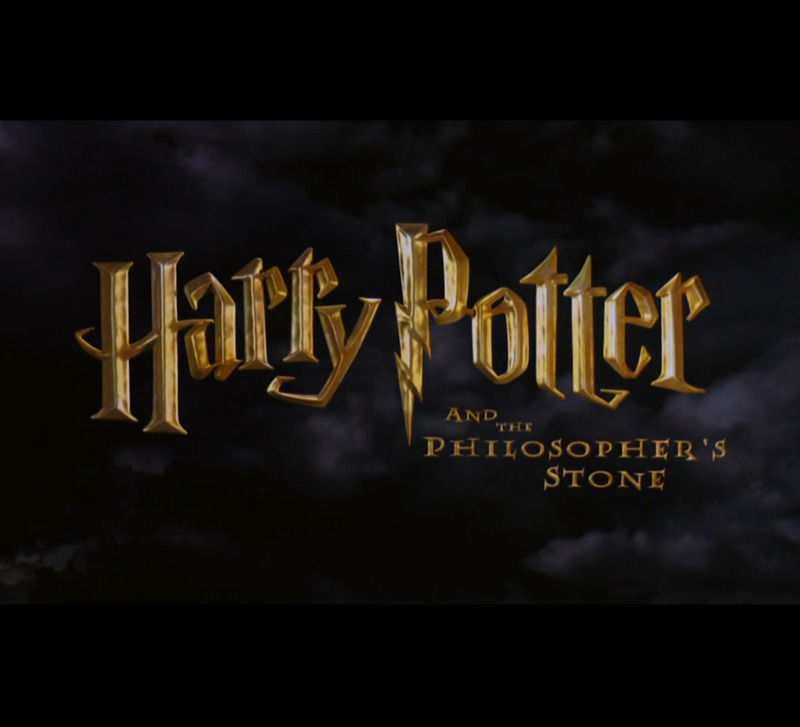 The American edition was published in September 1998 under the title Rowling suggested, Harry Potter and the Sorcerer's Stone. 2016 marks the 15th anniversary of the release of the first Harry Potter film, Harry Potter and the Philosopher’s/Sorcerer’s Stone. As hard as it is to believe so many years have passed since we all rushed to the theaters to see how our new favorite book series was going to be adapted to the big screen for the first time, the studio where the Harry Potter films were born are holding new events for this very special and sentimental occasion. There are a number of exhibitions and displays coming to the WB Leavesden Studio Tour this year, for the celebration of this momentous anniversary. We thank J.K Rowling who gifted us a beautiful childhood through her Harry Potter books on this day! Share with us your ideas as to how you plan to celebrate 19 years of Harry Potter and the Philosopher’s/Sorcerer’s Stone.